Head of the Luhansk Regional State Administration stated that Freight trucks and buses will no longer be able to travel between the self-proclaimed Luhansk People's Republic (LPR) and the region's territories under Kiev control. MOSCOW, January 17 (Sputnik) – Freight trucks and buses will no longer be able to travel between the self-proclaimed Luhansk People's Republic (LPR) and the region's territories under Kiev control, the head of the Luhansk Regional State Administration said Saturday. 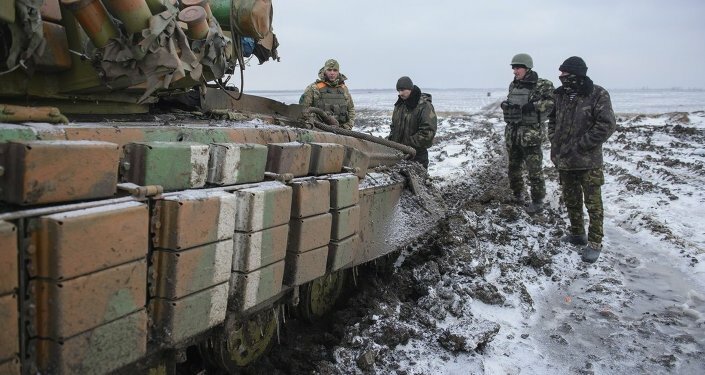 "Beginning January 19, bus and freight transport links between Luhansk Region's territory under Ukrainian control and so-called LPR will be blocked," Gennady Moskal said in a statement posted on his website. Moskal's message noted that an increase in armed clashes and constant shelling in the area brought about the decision to impose the traffic ban. He added that medical, emergency, funeral service vehicles, as well as other special category transportation will not be affected by the ban. The internal conflict in eastern Ukraine erupted in April 2014, when Kiev forces launched a military operation against independence supporters in the country's eastern regions that refused to recognize the new government's legitimacy following a February coup. According to UN estimates, more than 4,700 people have been killed in the course of the conflict, and over 10,000 have been wounded.